The ESPN FC panel talk Paul Pogba as he made surprising headlines by suggesting it is a dream of his to join Real Madrid. 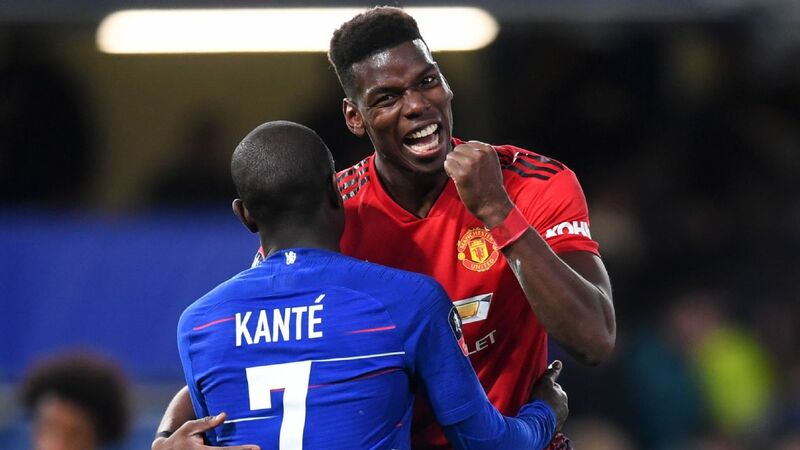 France and Manchester United midfielder Paul Pogba has said it's his dream to play for Real Madrid one day but is happy at Old Trafford "for now." Since Zinedine Zidane returned to the Merengues' bench, there has been speculation about the transfers Madrid are looking to make in the summer. They are expected to spend heavily on revamping their squad and are likely to sign at least one "Galactico." Zidane himself is a long-time admirer of Pogba, who could inject new blood in a midfield that currently has the underperforming Luka Modric and Toni Kroos. Asked on Wednesday about the return of Zidane at the Bernabeu and a possible move to the La Liga side, the Pogba didn't hide his feelings. "I have always said it. Real Madrid is a dream for everyone. It is one of the biggest clubs in the world. Zidane is the manager there. It is a dream for every child and every player," the former Juventus star said in a news conference at Clairefontaine, the France training camp in the south of Paris. "Now, I am happy in Manchester. I play, we have a new manager. For now, I am at Manchester. Later, we don't know what the future holds." Sources have told ESPN FC that Pogba's agent, Mino Raiola, has often been in touch with Madrid president Florentino Perez over the past few years about the former United academy product, who is in his third season at Old Trafford. Paul Pogba says he is happy at Manchester United for now. Pogba won't be easy to prize away from Manchester, however. After paying a then-record €105 million to sign him from Juventus in the summer of 2016, and with a contract running until June 2021, United are in a strong position should Madrid come calling. "It is an interesting question. What was wrong? We were not winning. That's why they changed managers. Without going into details, that's why. Only results matter. If we had been winning and the results had been more positive, the manager would have stayed," Pogba said with a smile. Pogba and France are preparing for the start of their Euro 2020 qualifiers on Friday in Moldova. The team has been together at Clairefontaine since Monday and head coach Didier Deschamps has warned his players against complacency. "The manager wants us to keep winning. We know that it's not easy to keep going after winning a World Cup. But we are ambitious and we really want to finish top of our group and qualify for the Euros" Pogba said. Andorra, Iceland, Liechtenstein Albania and Turkey are also in France's group.